Rescue the love of your life on WeRescue. 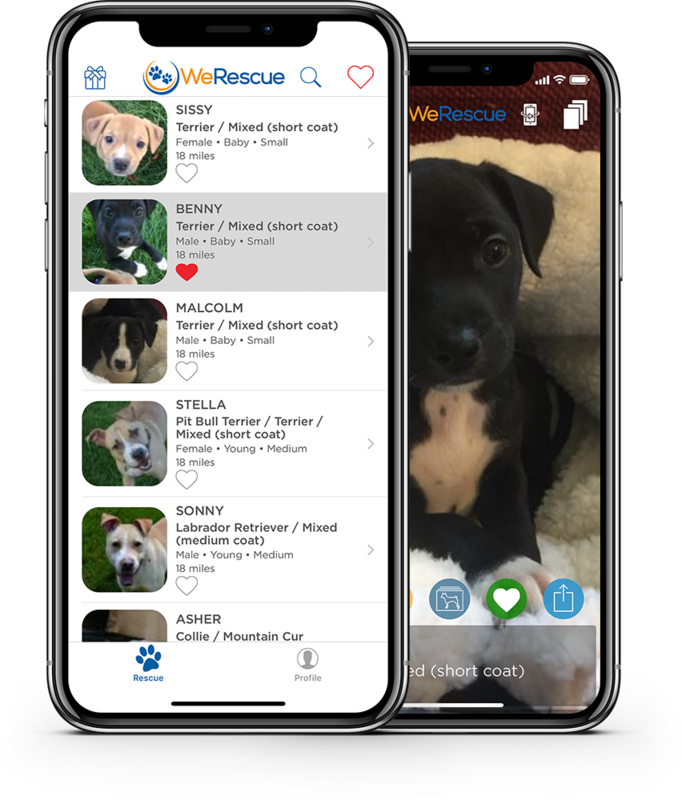 WeRescue saves your valuable time with advanced filtering of thousands of adoptable pets based on your needs. Do you prefer a dog that won't walk you? A pet that won't keep your neighbors up all night? Woof knows the best breeds for your needs. No need to strain your eyes with this app! Beautiful full-screen images of those gorgeous pets will astonish! 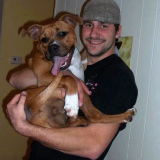 WeRescue knows about thousands of pets which need a furever family. Find the one for you locally in a few quick wags. 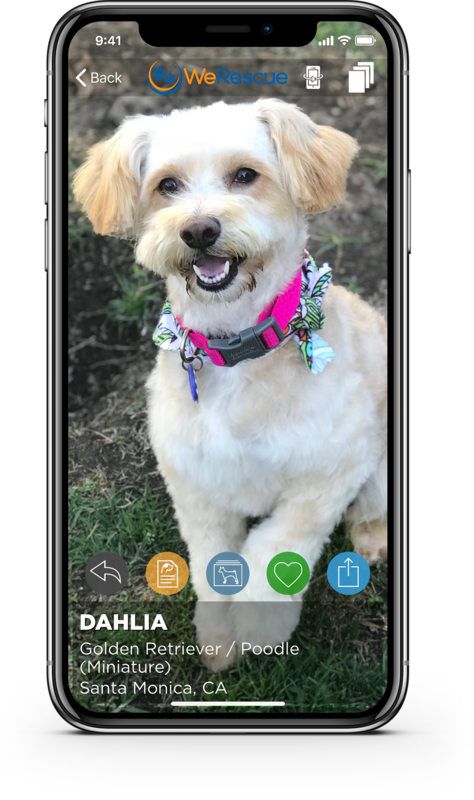 This app won't force you to swipe through a thousand pictures to find your pet. Automatic filters make your search easier than a walk in the park. Narrow your list of favorites and grab the leash. 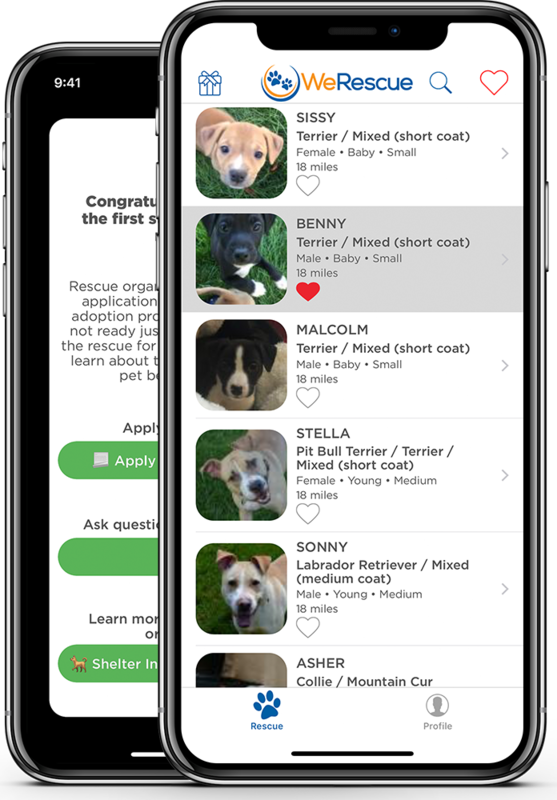 WeRescue lets you contact the shelter from within the app to get that tennis ball rolling! You want to adopt rather than shop? Good idea -- there are so many good pets who need a loving home. 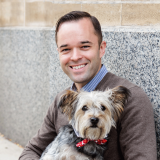 WeRescue lets you find the pet that fits your needs before you leave home. According to the ASPCA, approximately 3.9 million dogs and 3.4 million cats enter shelters each year and 2.7 million are euthanized. You want to be part of the solution, and WeRescue helps you get started. 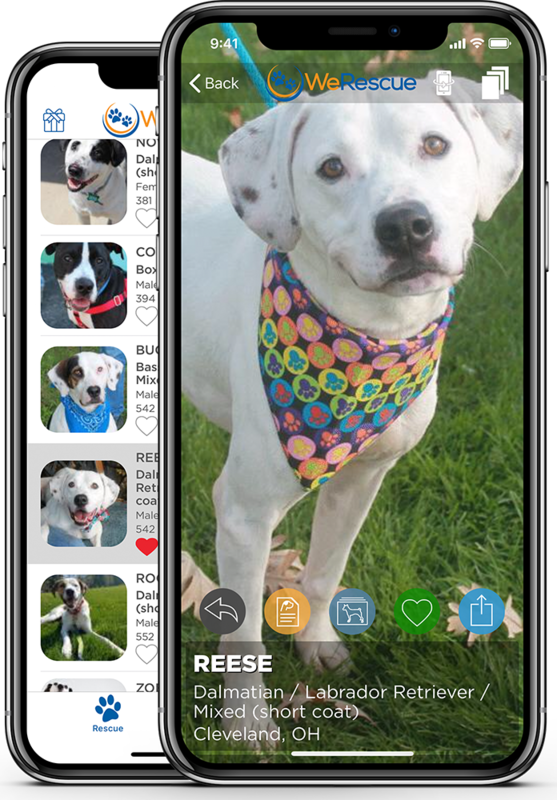 WeRescue lets you browse through beautiful full-screen images of pets in your area using your smartphone. Other than saving miles on your car, this lets you pick the right pet by making available many details right in the palm of your hand. 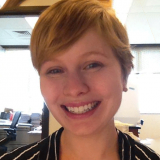 Learn of how the shelter operates, such as whether they have a physical location or are foster-based. Contact the shelter when you're ready by emailing or calling directly from the app. 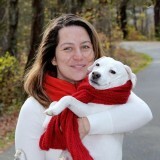 Many people want to search by breed but other pet finder apps seem to have trouble with this. WeRescue makes it easy to search by primary breed, and also by gender, size, age range and more.